With parts of North Queensland being declared a disaster zone, you should take heed to ensure not only your own safety but the safety of you staff. During this time, many employers will face the difficulties of managing the continued operation of business under strained circumstances. It is important for employers to remember that employees may have entitlements under their award or agreements that are relevant when an they're unable to attend work due to an emergency or natural disaster. Here is some information, courtesy of CCIQ, to help you determine the position if employee's cannot attend work. What if an employer has to temporarily close its business? Employers will have to determine employee entitlements if they have to temporarily close as a result of a natural disaster or emergency. This may include offering the choice of taking accrued paid leave or, in some cases, standing down employees. The Fair Work Act 2009 (FW Act) allows employers to stand down employees when there is no useful work for them do. This can only happen if the reason for the stand down is outside the employer's control, such as a natural disaster. A stand down can be unpaid, but an employer may choose to pay their employees instead. Employees may be entitled to access other types of paid leave under certain circumstances (see "alternatives to standing down employees" below). Stand down provisions only apply when an employee's award, agreement or employment contract don't contain stand down provisions that deal with the same circumstances. You should check your award, agreement or employment contract to see if it contains any stand down provisions. · the effect on other employment entitlements. An employer should also try to update employees about when they believe the stand down will end. What are the alternatives to standing down employees? · Inviting employees to take a period of accrued paid leave (for example, annual leave). · Requiring employees to take annual leave if their award or agreement allows it, or if the employee is award-free. If there are multiple worksites and not all sites are affected, consider voluntary work sharing arrangements. For example, employees at non-affected sites may offer to take paid leave while their position is temporarily filled by someone from an affected site. Where appropriate, consider flexible arrangements such as working from home. Any arrangements to alter an employee's working patterns would need to be made in accordance with the FW Act and any relevant award or agreement. Are employees able to take leave to take care of themselves or their family? Natural disasters often result in employees requiring time off to care for themselves or their family, or due to an emergency affecting their family members. Employers should keep in mind the health and wellbeing of their staff when granting access to leave entitlements. Employees (other than casual employees) affected by a natural disaster or emergency may have an entitlement to take paid personal/carer's leave or compassionate leave. For example, if an employee is injured during a flood or bushfire they may be entitled to personal leave. An employee would also be eligible for carer's leave if their child's school closed due to a natural disaster or emergency. Employees who have used all of their paid personal/carer's leave entitlement, and casual employees, are entitled to two days unpaid carer's leave per occasion to provide care and support to a family or household member due to illness, injury or in the event of an unexpected emergency. Employees may be requested to volunteer to assist the community with disaster relief activities through recognised emergency management bodies like the State Emergency Service. Employers and employees should be aware of what entitlements apply to those employees who wish to volunteer in these activities. The NES entitles employees who are members of a recognised emergency management body to take unpaid community service leave for certain emergency management activities such as dealing with a natural disaster. Awards and agreements may also contain specific provisions in relation to community service leave in addition to the NES. · reasonable rest time immediately following the activity. requested to engage in an activity, or it would be reasonable to expect that such a request would have been made if circumstances had permitted. If you are a member of CCIQ and have any questions regarding employment conditions during natural disasters and emergencies they can be contacted on 1300 135 822. The days may be longer and the weather warmer, but for many small business owners, the arrival of summer equals a downturn in sales as customers set their out-of-office replies and go on holiday. Here are some tips courtesy of Yellow Pages & Jess Della-Franca, Digital content specialist. If you're no stranger to the dreaded sales slump, here are some practical steps you can take to get back on track. 'Tis the season to head to the beach, eat too much and do some serious relaxing, which gives you a good opportunity to take inspiration from these themes and change up your messaging. For example, you might send an email to your mailing list with the subject line "You're probably on holiday, but…" or create a product or service bundle centred around people's needs during the holiday season. Using humour and relatability will help build a rapport with your audience, and highlighting useful products and services helps you stay relevant even during slow periods. 2. Work toward longer-term goals. Most small business owners have a list of long-term aims that sit on the back-burner whenever day-to-day business gets in the way. If you've been thinking about making any major long-term investments or improvements in the business, use this opportunity to research these objectives further and turn abstract ideas into concrete plans. Create a written timeline for long-term goals, including the steps to achieving each goal and the budget required to do so. This will give you a solid reference point to work from in tandem with your day-to-day responsibilities. 3. Sow the seeds for the busy season. You probably have some more time on your hands now that business has slowed, which means it's a great time to start planning your year ahead and get your ducks in a row before sales pick up again. Use this time to plan future marketing campaigns, sales strategies, and operational processes so that when you hit a peak again, you'll be well prepared to handle demand, boost sales and provide the best possible customer experience. You could even spend some time on the Yellow Business Hub, where you'll find a wide range of how-to and informative articles on digital marketing that could inspire your marketing plan for the new year. 4. Hold a holiday sale. Everybody loves a sale, and the holiday season offers a good opportunity to incentivise customers with discounts so you can maintain a decent cash flow even if your bottom line isn't as lucrative as other times of the year. If you're a product-based business, holding a holiday sale also allows you to sell off excess stock and cut down on storage costs, which will free you up to sell more when sales pick up. During the Christmas holiday period social media usage peaks. This is a great opportunity for you to advertise your business on social, connecting you with more customers and building your social following. And if you haven't explored social advertising before, take some time to experiment with what works, testing different messaging and different post times. Try to keep your messaging fun and inline with the holiday vibe that floods social feeds during this time. For hints on creating a great social campaign check out our article – '7 clever social media campaigns that are super easy to set up'. If it seems like the rest of the world is on holiday or kicking back and relaxing over summer, it could be a sign that you should do the same. You've worked hard all year to keep your business ticking along nicely, so if you can manage it, take a well-deserved break and come back refreshed and ready to kick those goals in the new year. The sharing economy has become a big disrupter in the Australian market, particularly in the areas of accommodation, transport, food delivery, or car sharing. It seems like everyone is getting in on the action of making a little extra money on the side whether it be renting out a spare room, driving for a ride sharing service, or even sharing their cars. It is no surprise then that the ATO is keeping a close eye on the participants in this sector. In the latest round of salvos against people in the sharing economy that may be flouting tax laws, the ATO is turning its attention to car sharing platforms. This interest has been prompted by the growing popularity of third party services such as Car Next Door, Carhood and DriveMyCar Rentals. If you receive income from sharing your car, no matter how little, you need to include it in your tax return, and cannot avoid tax by calling it a hobby. However, the flip-side is that you are entitled to claim deductions directly related to renting, hiring or sharing of your car. These expenses can include: platform membership fees, availability fees, cleaning fees, and car running expenses. The deductions you can claim depends on the car sharing agreement you have. For example, different agreements require either the car borrower or car owner to bear the costs of refuelling the car. Therefore, you can only claim expenses if you actually paid for them. Another thing to keep in mind is keeping accurate records and retaining all your receipts to back up any expense claims should the ATO come knocking. If you participate in car sharing arrangements you should also be aware that deductions for running expenses may differ depending on the vehicle that's being shared. Cars designed to carry a load of less than one tonne can use the cents-per-kilometre method or the logbook method, but motorbikes and vehicles designed to carry more than one tonne or more than 8 passengers cannot use the cents-per-kilometre method. Other pitfalls of car sharing include situations where you jointly own a car, in which case, all income and deductions need to be apportioned based on your share of ownership. In addition, if your car sharing activities amount to more than occasionally renting out your own car (ie. you're considered to have an "enterprise" of renting or hiring your car), you may be required to register for GST. In those instances, you will have to pay GST on the payments you receive, but will be able to claim GST credits provided you use them in carrying on your "enterprise". This focus on car sharing comes on the back of an ongoing data-matching program on online accommodation platforms which will collect data to identify people providing accommodation through online platforms during the 2016-17 to 2019-20 income years. Details collected from this data-matching program include: listing owner and property details (name, residential address, phone number, date of birth, rental property address etc), financial transactions per listing (bank details of owner, gross rental income, nights books etc), property activities (listing date, conversion rate, host/owner block out dates, price per night etc). The program will also obtain various information from financial institutions of the platform providers. 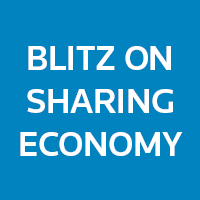 Contact us if you would like more information on the ATO's blitz on car sharing, online accommodation or the sharing economy in general. We have the expertise to help you get it right whether you're renting out your home or car occasionally, or whether you're running an enterprise. Confused about what it means to be an Independent Contractor? Maybe you are working for a business but you want to start your own business. Maybe your employer has suggested that you could work at home, and they will change your status to that of an Independent Contractor. Before you make this change, you should know about some of the pros and cons of working independently. Independence. You may be able to work your own hours from whatever location you choose depending on the type of job. You should be able to negotiate pay rates and a payment schedule. You will have to keep records required by your host business such as timesheets etc. No Tax Withholding. Some people consider it a benefit that the payments you receive as an independent contractor don't have income tax withheld. This can be a curse if you don't put away funds to cover this debt. It will come home to roost every year. Deducting Business Expenses. Expenses you pay to run your independent contractor business are tax deductible. Check what is and is not an "approved expense", never assume. No Guarantee of Income. Being independent also means you don't get a regular paycheck. If you are lucky enough to work for one or more clients who pay you regularly, that's great. Manage your cash flow and have a slush fund to cover you through lean times. No Benefits. One of the main reasons people stay employed is to have employer-paid benefits such as healthcare. If you need health insurance, you can get it but you will need to pay for it. You Still Pay Taxes. As an Independent Contractor, you still have to declare all the income from your work and you still must pay taxes and any other levies required on that income. TIP: An Independent Contractor can have a contract. Get a written contract from each person or business you work for. Having a contract spells out "what happens when." Having a contract can settle many disputes before they start, and you can take a contract to court to get paid, if necessary. If you need further guidance on the benefits and drawbacks of being an Independent Contractor, consider a consultation with your Accountant. This is a critical decision which can affect your future wealth creation and your current living standards. 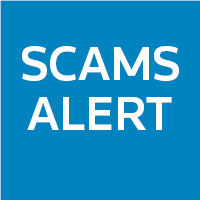 The ATO reported recently that the most common type of scam is where the scammer demands payment for a fake tax debt or sends an email asking for personal information in order to pay out a refund, which may at first glance appear quite attractive! Not only do scammers try to steal money, they also try to steal identities. The Government has identified several cases of misuse of stolen personal information that have led to fraudulent income tax returns, as well as GST, superannuation and welfare frauds. Scammers are becoming more sophisticated in their attempts to defraud the public and trick people into handing over money, their tax file numbers and other personal information. A recent scam is to telephone people, displaying an official-looking ATO number as a caller ID so the victim feels confident enough to engage with the scammer and will provide personal information – this type of impersonation is known as "spoofing". Sending emails containing links to bogus websites that mirror the official ATO website is also still a popular scamming method. The typical story is that a fraudster contacts a taxpayer out of the blue claiming that the taxpayer has overpaid taxes and is entitled to a refund. The fraudster often asks the taxpayer to pay an "administration" or "transfer" fee to obtain the refund. They may also ask for the taxpayer's personal details, including financial details such as bank account information so that the "refund" can be transferred. If the taxpayer hands over money, chances are that it is never seen again, and no transfer is forthcoming. Another tactic is when fraudsters phone to demand that people pay allegedly unpaid taxes. The ATO is aware of one such aggressive scam where taxpayers are threatened with arrest if they do not pay a fake "tax debt" over the phone. Scammers may also demand payment in gift cards, such as iTunes or prepaid Visa cards. Kath Anderson, Assistant Commissioner recommends for people to look out not just to protect their own personal identity but also to make family and friends available to the risks. Those people who may be particularly vulnerable are those who do not have regular interaction with ATO and so may find it more difficult to determine genuine requests for information from those that intend to cause harm. "There are a few simple steps taxpayers can take to protect themselves online, including only giving out personal details to people you trust, keeping tabs on your tax affairs so you know what to expect, and to be cautious about personal information that you share, especially on social media." If you receive an email, a text message (SMS), or an unexpected phone call from "the ATO" claiming that you are entitled to a refund, or that you owe taxes, or that you must confirm, update or disclose confidential details, such as your tax file number, delete the message or hang up the phone. Do not click any links or download any attachments. From time to time, the ATO itself will send emails, text messages or official social media updates to advise you of new services. However, the ATO's messages will never request personal or financial information by SMS or email, and its representatives will never ask you to pay money into a personal bank account. If you receive a call, an email or an SMS and are concerned about providing personal information, you can call the ATO on 1800 008 540 (8am to 6pm, Monday to Friday), forward the suspicious email to ReportEmailFraud@ato.gov.au, or check your myGov account for any message from the ATO. You can also contact our office for more information if you have concerns. You should practise the same level of vigilance in relation to calls and emails from people who claim to be from other government bodies, such as state revenue authorities. The Government has developed an electronic Document Verification Service (DVS) for business use. The DVS can help you protect your business against identity crime and makes it easier for you to meet any regulatory obligations to verify your customers' identities. The DVS allows businesses to verify information on Australian-issued driver licences, passports, visas and Medicare cards "in real time" directly with the issuing agencies. The system is not a database and does not store any personal information. All DVS checks must occur with the informed consent of the person involved. Further information is available on the DVS website at http://www.dvs.gov.au/. It is very simple: To gain wealth, you must spend less than you earn. Being fiscally astute is not rocket science. Let's review simple options to help you turn your spending habits around and achieve a positive personal cash flow. Settle bills by the due date unless there is an incentive to pay early. Your money is better placed to work for you in an interest-bearing account. Pay off high-interest rate debt to free up money. This is your priority task. Debt is not a given. Break the cycle and pay off your debts. Pay as much extra off the debt as you can. This will ultimately reduce the amount of interest you are paying and save you money. Short-term pain for long-term gain. Use credit cards as a means of delaying cash payments to manipulate your cash flow to your advantage. Be market savvy. Keep an eye on the interest rates you're paying on your debts and make sure they're competitive. If they're not, speak to your bank. Evaluate your daily spending habits. Keep track of every item of expenditure for a month. It is probable that you will be shocked. Consider carpooling to work, making your own lunch and ditching the gym membership in favour of going for a walk with friends and family. You will be surprised how much you can save! Be Mean. Develop an attitude toward cutting costs, no matter how small. Turn lights out when you leave a room, sleep on purchasing decisions, never impulse buy, etc. Making changes to your spending can feel hard. Persist. Being cost-conscious will have a far greater and positive impact on your life. Simply put, cultural fit is the likelihood that a person will be able to effortlessly live your business core values and behaviors. We've all been to interviews where the interviewer sticks to an approved list of 10 questions. Instead, hand the interviewee the keys. See how they communicate without prompts or guides. This can provide an opportunity for vibrant personalities to shine. If the interviewee has difficulty conversing with you of their own accord, that can be a sign that their personality doesn't fit the role. It's important as the leader to know yourself well enough to know what your true or core values are. If you discover that you actually value timeliness over creativity, that's your prerogative. When you started your business, how did you want it to run? What did you want to motivate people? Don't worry about being "wrong" when you answer these questions. The important thing is to answer them.